Rilanx Capsule contains Jatamamsi (Nardostachys jatamansi), Shankhapushpi (Convolvulus pluricaulis), Mandookaparni (Centella asiatica), Brahmi (Bacopa monnieri), Yashti (Glycyrrhiza glabra), and Ashwagandha (Withania somnifera). Rilanx Capsule acts as a serotonin reuptake inhibitor thus decreasing anxiety, stress psychological disturbances. It helps to induce sound sleep in anxiety and other stress-related conditions. Rilanx exerts anticholine-esterase, cholinergic GABA-minergic activity, thus improving cognition preventing dementia. It helps to improve social behavior, and hence enhances well-being and sociability. Rilanx capsule exerts anticholine-esterase, cholinergic GABA-minergic activity, thus improves cognition dementia. 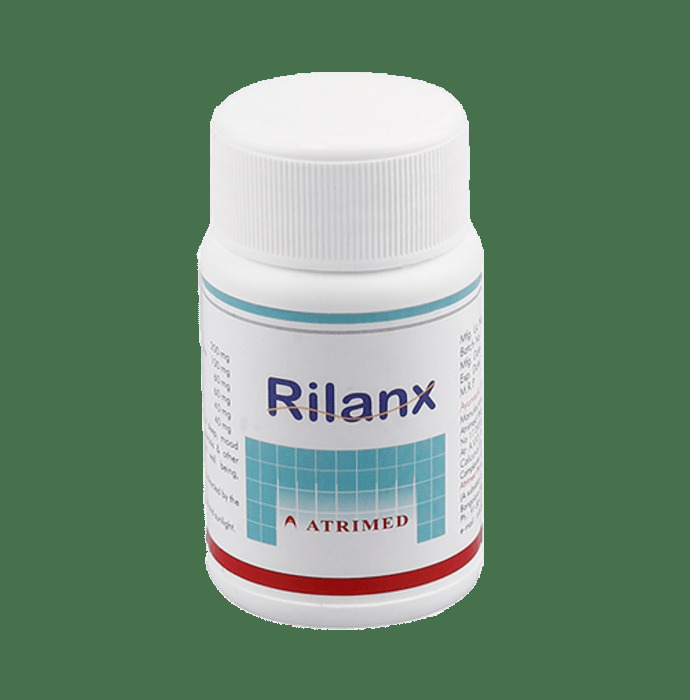 Rilanx Capsule is used in anxiety, depression, loss of sleep, mood disorders, irritability, nervousness, neurosis other stress-related conditions. Rilanx Capsule enhances well-being sociability. 1 to 2 capsule twice daily Or as directed by your physician.